KSWA in the Pittsburgh Post-Gazette! 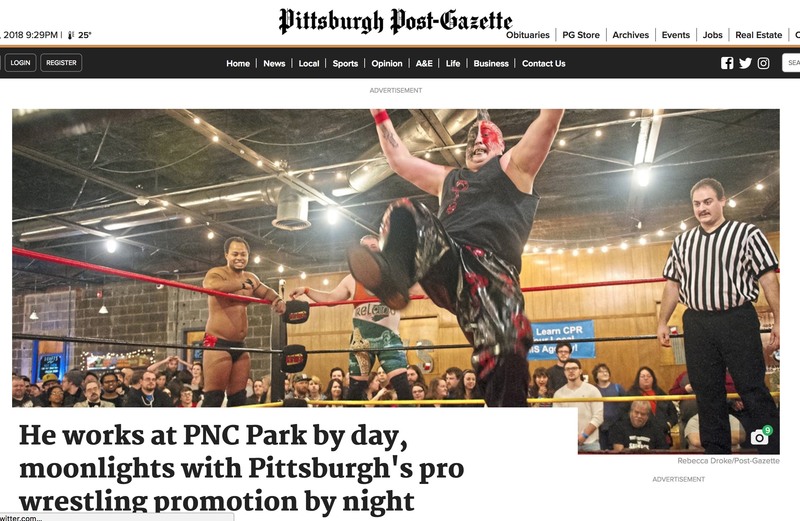 Home / In the News / KSWA in the Pittsburgh Post-Gazette! The night before the Keystone State Wrestling Alliance’s FanFest last month, Thomas Leturgey couldn’t sleep. Leturgey, a bespectacled, 50-year-old, self-described former superhero kid, does not wrestle with the KSWA, Pittsburgh’s professional wrestling promotion. But like many wrestlers, he leads a couple of lives. By day, he works for a magistrate. By day and night, he works game-day security for the Pirates at PNC Park. And by night — well, at least one night a month — he is Trapper Tom, the ring announcer for the KSWA.